Freelance screenwriter Josh Barry graduated from Bournemouth University in 2010 with both a Masters degree in Writing for the Media which was preceded by a BA in Scriptwriting for Film and Television. Having Athetoid Cerebral Palsy since birth has given Josh a unique take on life and his passion for the world of Light Entertainment has influenced the body of his work including a radio documentary Following The Money: The Story of The British Theatrical Agent and a screenplay Educating Auntie documenting the life and career of Sir Bill Cotton. 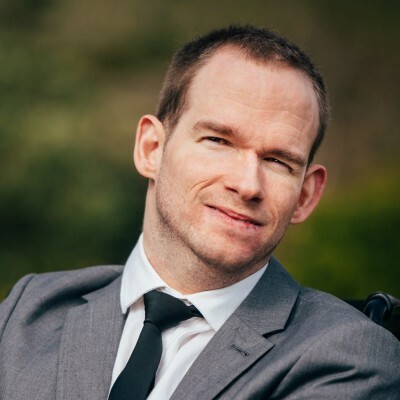 More recently, Josh has put his life on paper in his honest, revealing autobiography about what it’s really like to be disabled in 21st century Britain. In addition to this, Josh runs the entertainment website beyondthetitle.co.uk where he has done podcast interviews with significant figures within British entertainment ranging from showbiz icons such as Jimmy Tarbuck and Barry Cryer to modern day stars like Miles Jupp, Frankie Detorri and Phil Jupitus.